The Dutch town of Zundert is a mere three miles north of the Belgian border and has until recently been known for one thing—if it’s known for anything at all: being the birthplace of Vincent Van Gogh. But the name will become more familiar to beer drinkers in the furture because it appears on the label of one of the newest Trappist breweries. The monastery responsible for Zundert is Abdij Maria Toevlucht, or the Abbey of Our Lady of Refuge. Supported until 2011 by a cow farm, the 21 monks in residence decided that project was too difficult to maintain and began researching a brewery. Acting with what counts as lightning speed for a monastic endeavor, they managed to research a new brewery and have one up and running by the end of 2013. Zundert arrived here in the US this past autumn for the first time, and the importer, Merchant du Vin, sent me a bottle. There are a number of curiosities about this monastery and project. They start with the beer, singular, the only one they make. * It is called simply “8,” following the habit of Belgians for designating beer by its gravity. This cuts rather sharply against modern trends, wherein sprawling variety is the norm, along with flamboyant names and labels designed to attract the eye of the dazed consumer. (Even among the Trappists, only Orval makes a single beer—and it’s a world classic that’s been around since the 1930s.) That coppery color, not quite brown, certainly not blond, puts it a half step outside the Belgian Trappist tradition as well, at least taxonomically. According to a spokesman for the brewery, the monks make the beer themselves. You might think this is typical, but among the classic set of Trappists, only the monks at Westvleteren actually brew. The brewery is sort of called Zundert, which is not the name of the abbey, but sort of not. The brewery proper is actually called De Kievit, which is represented by an unusual little bird on the label with a funny plume rising from its head. Kievit, it turns out, is a Northern Lapwing, an apparently common bird throughout northern Europe. 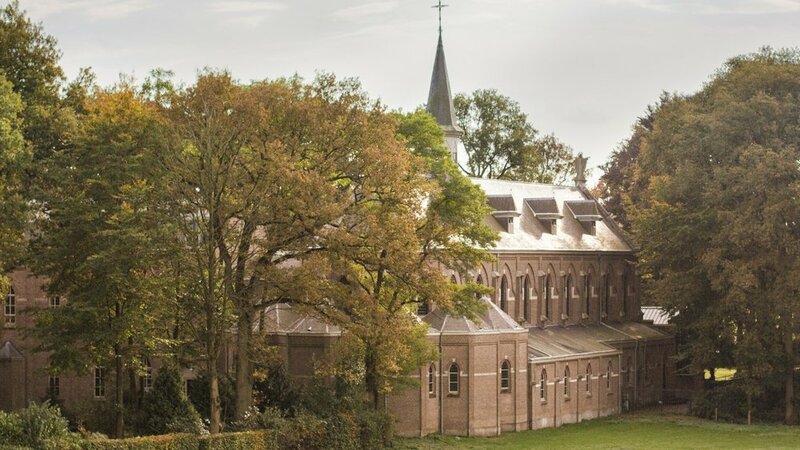 The monks at Abdij Maria Toevlucht have been practicing Zen meditation for nearly fifty years. This blows me away, and I wonder if any other Catholics practice Buddhism on the sly. According to the abbey: “A few years ago, the range of meditation sessions on offer was expanded to include silent meditation, a combination of sitting in Zazen style and introductions according to Christian mysticism and poetry.” Well all right. The abbey makes just 5,000 hectoliters, making it one of the smallest of the Trappist breweries. So back to the beer itself. It is firmly in the Belgian tradition, and even the impulse to give it a little individuality is classically Belgian. The flavor profile is both gentle and complex. It’s a yeast-driven beer, with lots of spicy phenols, but also has a toffee malt base. Not too sweet and very smooth, it’s an easy-drinker. There’s absolutely nothing to ding here, and yet it doesn’t quite have the quality of easy mastery some of the older breweries have achieved in their decades of practice. It’s quite good but still just a bit generic. Given that the monks are themselves making it and that they have been exclusively focused on this one beer, I expect their attention will give rise to that slowly-acquired mastery that characterizes their older peers. An intriguing beer backed by an unusual monastery—definitely worth seeking out. Father Christian in the brewery. *Looking for photos, I discovered that Zundert just introduced a new beer called, ostentatiously, “10,” which is not on the website. Drat—that really spoils the coolness factor of rocking a single beer, which seemed so beautifully focused and monastic. Well, I guess two beers isn’t a terrible amount of sprawl. PHOTOS. Cover and Brother Christian: TastyTales. Lapwing: Royal Society for the Protection of Birds.